How to get rid of bats is the most common question we receive. 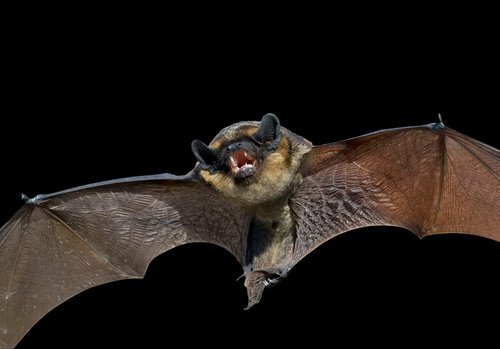 The following are typical steps involved in the bat exclusion process to humanely remove bats from your attic or home and prevent them from reentering again. This process is also referred to as bat-proofing. 1) Once the bat inspection process is completed – it has been determined where all the possible entry holes into the building are located, the primary entry and exit areas were identified and the holes and gaps that the bats aren’t actively using are sealed – you’ll move forward in repairing the areas that show bat damage using the proper materials. 2) The species of bat is determined during your bat inspection process, by observing them in the attic, by watching them fly out of the house at dusk, and by examining the bat poop that you see in the attic or the ground below the entry holes. Research should be done when they have their young (summer for all species), so that you don’t do your exclusion during the bat maternity season. 3) The proper exclusion device should be set on the bat exit gaps and holes. Here is the general principle: the device is set on the exit hole/gap in such a way that the bats are able to naturally exit the building as they always do. They have to crawl out and fly out or flutter down through the device. They won’t exit the building if there’s an obstruction in the way. In addition, the device must be configured so that the bats are not able to fly back in when they attempt to return. It all has to do with the way bats take off and land. It’s difficult to describe, and this is one of the reasons experience really helps in a successful exclusion. 4) Leave the exclusion devices up for at least three days to be sure. Monitor each night, and if you can get up, at dawn, to see how the bats are reacting. If you still hear bat chirping inside or any other sign after the second day, you’ve done something wrong! Remove the exclusion devices immediately and start over. 5) After you are sure all the bats are out, remove the exclusion devices and seal the final holes/gaps shut. 1/4 inch poly netting – a good all-purpose bat net with a small enough grade to prevent the bats from getting stuck in the mesh or strangled. It must be set to allow the bats to fly out but not fly back in. Making this shape right is an art, like sculpture. I usually set netting on long gaps with clear exit routes. Window Screen -the softest you can find, makes a great exclusion tool. As with the netting, a combination of staple gun or duct tape is a good way to secure it to the house. We usually use screening on smaller gaps adjacent to flat surfaces. Funnels – funnels made of various materials, from clear plastic to 1/4 inch steel screening, work very well in some scenarios. Funnels aren’t used if there are a lot of bats, because of the bottleneck (figurative, not literal, the neck of a bottle would be too narrow). Batcones – these are special funnels with a tapered body and attachment wings that you can purchase online. If you need professional help in solving your bat problem, please contact Bat Removal USA (800) 928 4057 or find your area professional on our DIRECTORY of Bat Removal Specialists. 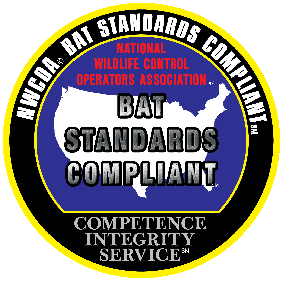 National listing of certified bat removal professionals for all 50 States in the U.S.